March 2018 will be the day Google shuts down Google Drive desktop app. 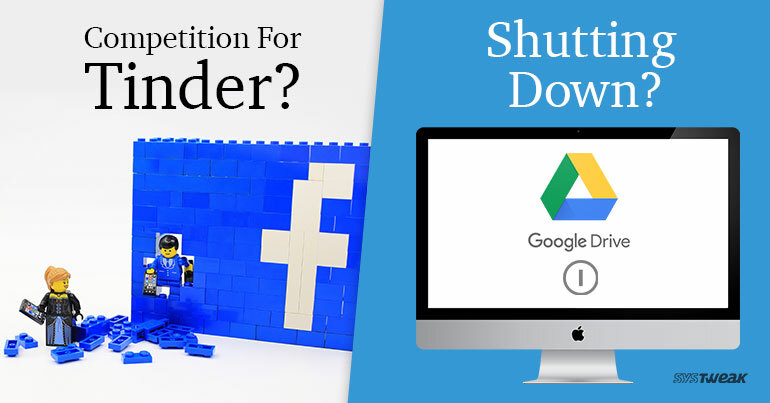 ARE THEY SHUTTING DOWN GOOGLE DRIVE? While some readers might be taken aback after reading this, we want to clarify that this only means the end of desktop app and not the service itself. HOW WILL WE ACCESS FILES WITHOUT GOOGLE DRIVE APP? It’s not like Google plans to leave consumers and enterprises in disarray as all Google drive services will be replaced by two new apps. Regular users can opt Google Backup & Sync, that can be used to access their Google Drive files. Enterprise users however can go for Drive File Stream, a brand new service only for G Suite business users. WHAT CHANGES WILL THE NEW SERVICE BRING? The new apps will attempt to shell out all the anomalies of the older suite with faster service. Drive File Stream will see some major feature upgrades such as individual file sync, team drive access and the ability to view/stream files on the cloud itself. This will not only save disk space on your system, but also prevents confidential information to be stored on hard drives. Facebook users will soon be provided suggestions for dates like Tinder, but with a small twist. FACEBOOK HAS A NEW DATING APP? Although Facebook officials haven’t shed any light whether this will be a new app or a part of FB Messenger, this service will provide users with various dating/meetup suggestions from their respective friend lists. Users can respond in a simple yes or no, if they wish to meet that friend. If both parties have answered yes, then it will notify both users. This shouldn’t really come as a surprise for Tinder users as it anyways uses information from Facebook accounts. Therefore it would only become more convenient for Facebook users to be able to make meetup plans on the platform itself. While this might sound scarily similar to Tinder app, this service shows suggestions from the user’s’ friend list, rather than random strangers. Therefore it can be considered as far more reliable than meeting someone on Tinder. This can also be used to make plans with friends and be a potential ice breaker for conversations. Being currently in a testing phase, this service is only operational for select users across Canada and US. However, Facebook does plan to make this service operational soon but haven’t really clarified whether it will be a new app or just an added feature to all users, irrespective of platform. With other features such as stories, GIF and live videos already on the table, this could certainly be an interesting addition to Facebook’s social networking arsenal.